There have been rumors for weeks now about Kate Middleton being pregnant with baby number two. She supposedly dropped out of sight back in May due to a brief bout with severe morning sickness but quickly rebounded and turned up at a few royal appearances looking as stunning as ever. The baby news is no secret around the palace and many are wondering why the young royals aren’t announcing this pregnancy as they wasted no time in telling the world when Kate was expecting Prince George. The reason is simple, when Kate was hospitalized with severe morning sickness while carrying Prince George the palace had to say something because they feared it would leak anyway. This time Kate is healthy and simply waiting until she is safely out of her first trimester to officially spill the beans- something that most women choose to do. According to the July 7th print edition of In Touch magazine Kate is thrilled to be feeling well and is happily planning little George’s first birthday party. 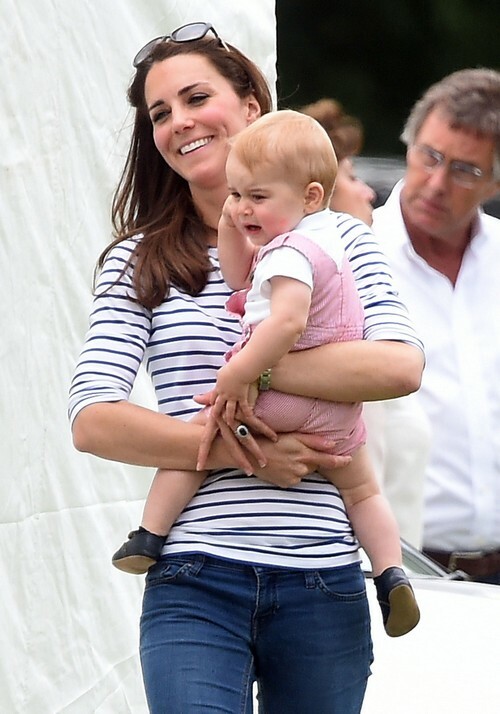 She and Prince William are also planning on confirming baby number two to coincide with George’s birthday. William thinks that the best gift that they can give him is a baby brother. William wants his son to have a sibling close in age just like he had Harry. He wants his children to share the kind of close bond that he is fortunate to have with his brother and he believes being close in age is one way to cement the bond. The couple is also remodeling their country house at Anmer Hall and reportedly want to move the family in by the time their second child arrives. Kate and William agreed to move back in to Kensington Palace last fall but London really isn’t where they want to raise their kids. These past several months have only reaffirmed the need to get their family out of the city for a more peaceful upbringing. Are you excited to hear that Kate really is pregnant again? Tell us your thoughts on baby number 2 in the comments below!